Fed Up with Computer and Network Problems? 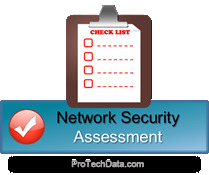 Identify any ongoing problems or concerns you are currently experiencing with your network. When completed, you will receive a comprehensive report complete with your network grade / score and a prioritized action to address each area of concern. Confirm your server is being backed up properly so you don’t run the risk of losing valuable information and files. We will also check to ensure your data has been tested for recovery, along with reviewing the disaster recovery plan. We will check your network configurations to make sure they are optimized for maximum speed, performance and security, including minor enhancements that can have a big impact. Technology is constantly changing, which may cause your network to have compatibility issues. We will check to ensure the various computers, servers, software and applications you use every day are not only compatible, but are working seamlessly together.